Silver drop earrings Chute in brass and Howlite gemstone. 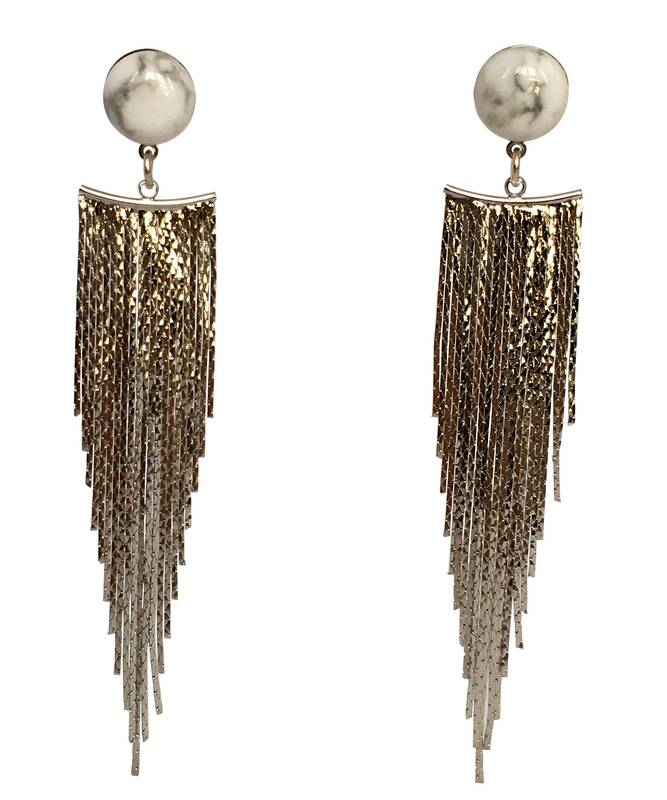 Drop earrings composed of brass, Howlite gemstone and a silver rhodium plated pendant. Each Howlite stone is unique, no two pieces are exactly the same.